This is one of the Iron Gate Series of hostas developed by Van Sellers of North Carolina who registered this cultivar in 1981. It is a medium size (16 inches high by 36 inches wide) plant which is a cross between H. 'Tokudama Aureonebulosa' × H. plantaginea. It has very pale lavender, fragrant flowers which bloom from July into August. The foliage is highly variable (unstable ) in its variegation color with streaked foliage which often stabilizes into a white marginal pattern. 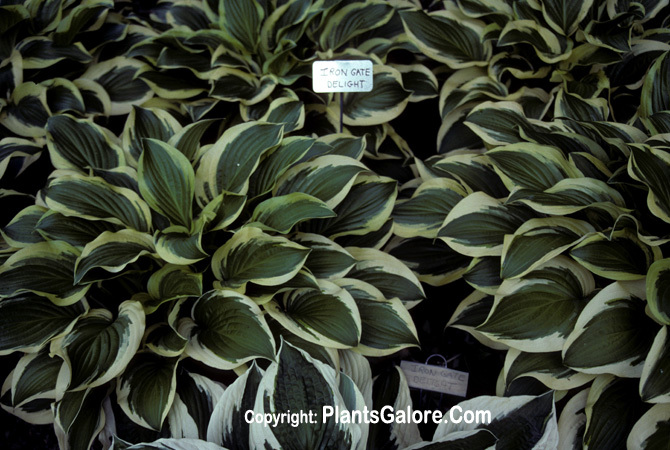 The New Encyclopedia of Hostas by Diana Grenfell (2009) states: "Vigorous and easy to grow. A mid-ground specimen and suitable as a pot plant...Although the streaking is random and variable, some marginal variegation is usually present."